Safeway was tired of the dog and pony show that always accompanied the annual design process. They wanted a collaborative agency that was focused on delivering their messages instead of winning design awards. We were up for the task. We listened. 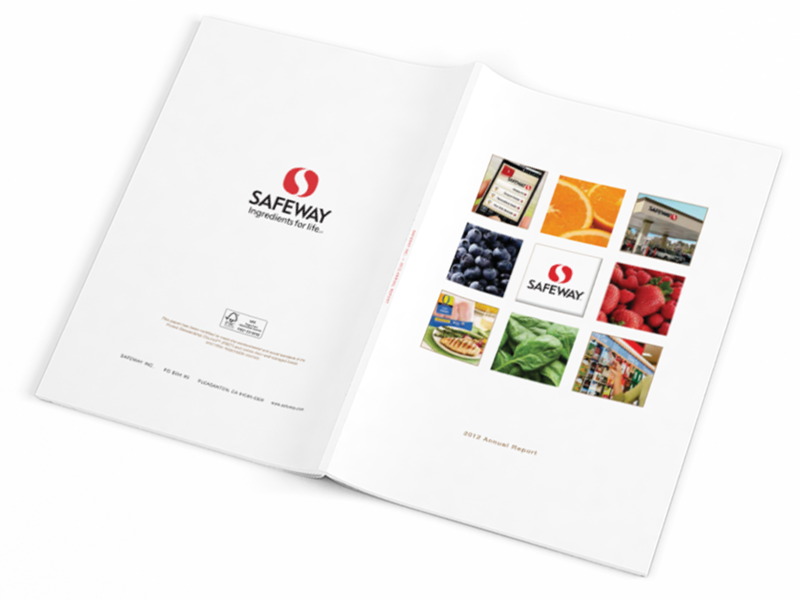 Safeway had strong thoughts about what worked and what didn’t in regards to both the design and the process of producing their annual report. By listening to their needs and sharing our thoughts, we were able to adjust our approach so that it worked for everyone involved. 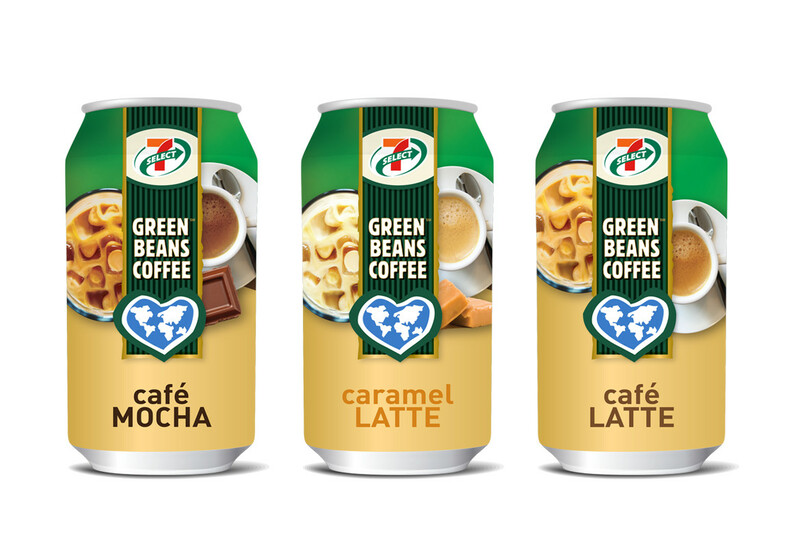 We added an extra meeting in the creative process, so the marketing team could see and review designs before we presented them to their board of directors. We identified that quick and honest feedback was essential. Both sides committed to be available on specific, scheduled days, so everyone had the information and resources they needed. 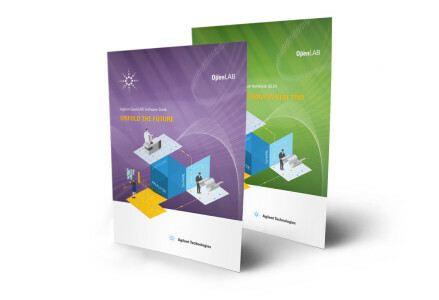 Open, consistent communication kept everything moving smoothly — on schedule and stress-free. 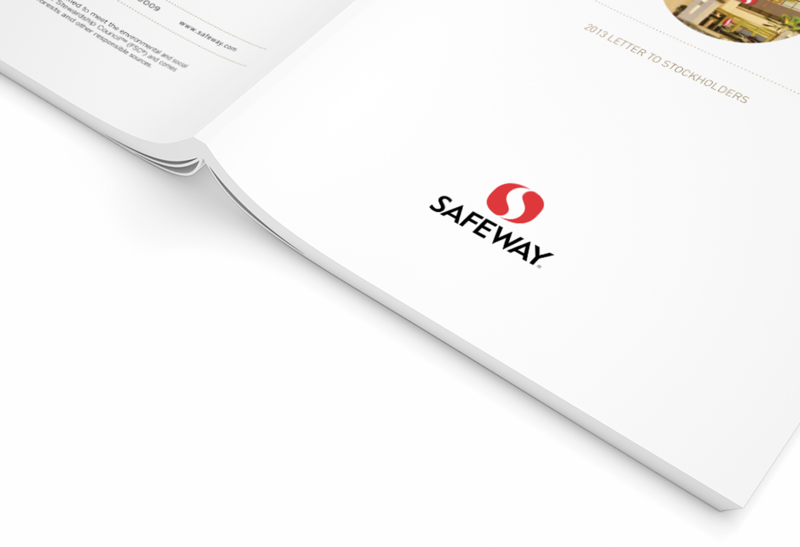 Safeway always adds a fun printing technique in their annual report. 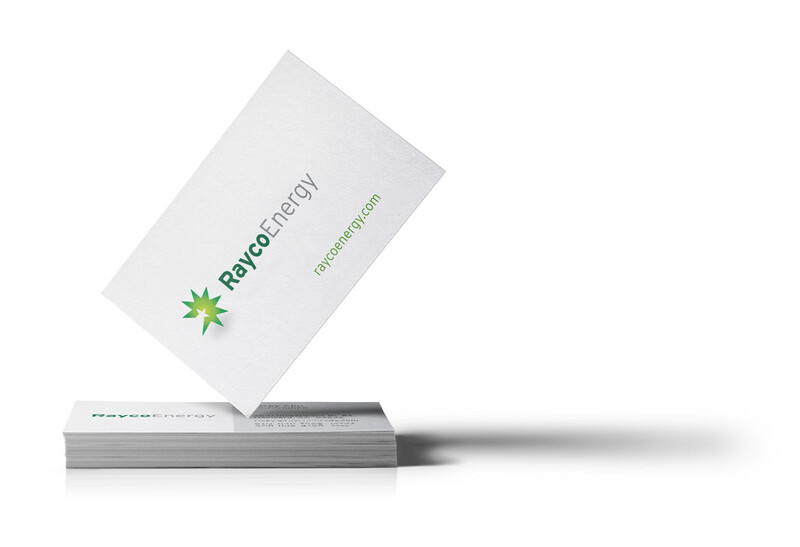 For the 2012 annual, the cover has a square die-cut around the logo and folds out for a unique reveal of financial information. 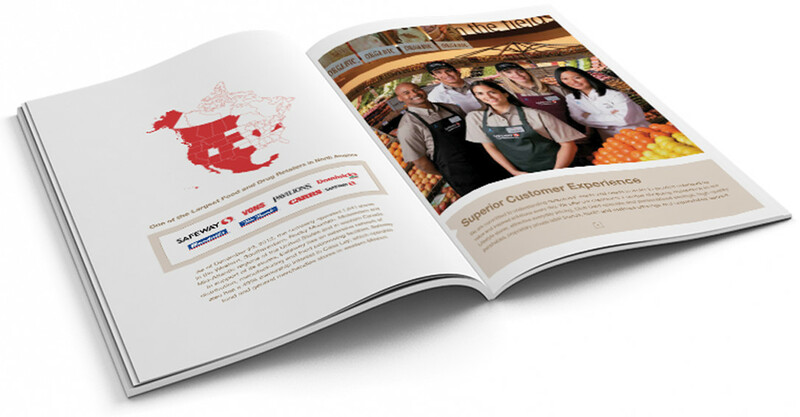 The 2013 annual report uses a soft-touch varnish, which gives the cover a silky, smooth feeling. 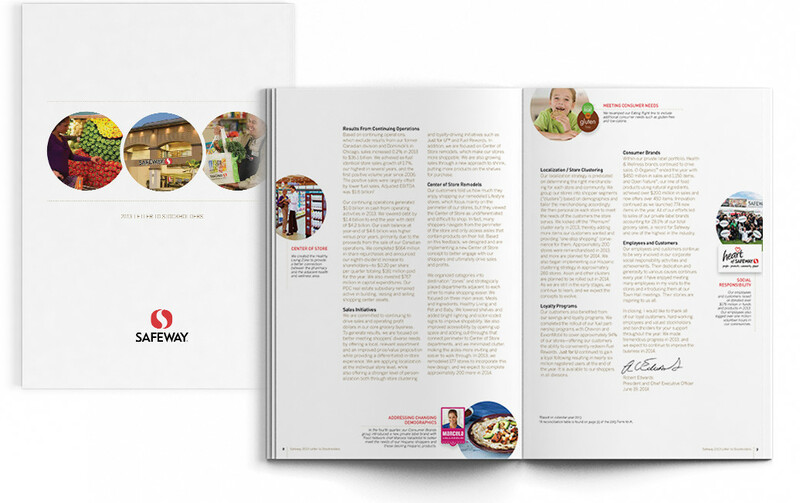 Not only did Safeway deliver a well-designed annual report that highlighted their core messages for the year, but they also enjoyed a smoother and more collaborative process. Custom photo shoots allowed us to tell Safeway’s personalized story and capture the flavor of their brand. Bright, Bold colors that tied back to the cover design and the Safeway brand, was a way to tell the four key stories for the year. The bold spreads added visual interest, breaking up the crisp, clean layouts before and after. Keeping with the clean aesthetic of years past, the 2013 annual report incorporated small stories and images alongside the shareholder letter. Want a expert design with unparalleled service? We have the expertise.